Personally, I love the first one. Really fits the feel of the game and the look of the menu. For me, the current one is more appealing. I kinda know what you're saying finn183. Even though I prefer and enjoy the second and current one, I feel like it's too windowy. But it's early days, and GRIP's EA. Menus that do their job best imo are both functional and embedded in the game's lore (I'm thinking about Metro 2033 where the whole menu is an underground station). The perfect menu doesn't pull you out of the game. It disguises settings and features using game assets (or new ones) to solidify or help create the story being told. finn183 wrote: Personally, I love the first one. Really fits the feel of the game and the look of the menu. I'm in love with the new menu. It elevated the game from 'some proof of concept trash' to 'yes, we are professionals'. Broscar wrote: I'm in love with the new menu. It elevated the game from 'some proof of concept trash' to 'yes, we are professionals'. I am a massive fan of the work done on the menus for the game but there are one or two things that I think could be changed to ad style and focus to the piece. As it is, the imagery of the menu (background) is closely aligned to the terrain of one planet, Jahtrah, which, correct me if I’m wrong, is also indicative of standard UE4 assets (sky box, colouring and so on). What I suggest is that the menu background be presented in a grey scale (somewhat reminiscent of the current load screen) with some points of interest given colour i.e. missile burn, explosion, jet engines. Background assets in the menu could also be adjusted slightly or be removed so that they are no longer indicative of Jahtrah and instead could relate to any one of the locations in the game or none. Text and options would retain their colour and a final pass of the options menu can clean things up – I’m sure this will need to happen when controller support is added. In this way, thematically (and hopefully cheaply $$), the menu becomes more broadly a representation of the game in its entirety rather than representing one planet - as one planet is no longer distinct in the image. 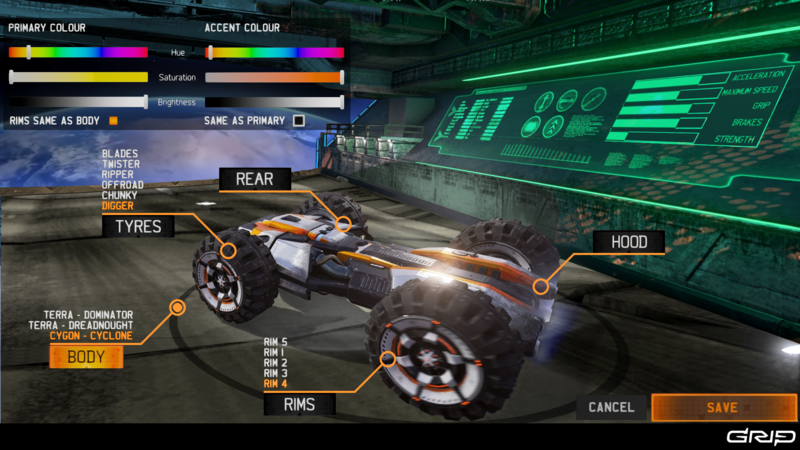 It has also been suggested that rather than the vehicle selection screen appearing track side – it could appear inside the hanger of a space craft above the planet. I am also in support of this as the illusion then is that we are in orbit of that location. This would also assist with the issue of ‘scale’ as the vehicles can be re-framed inside the hanger. At present your vehicle sits alongside large bricks, rubble, and oil drums and this does nothing to ad to the sense of scale I know the devs are pursuing. Last edited by playabot on Wed Aug 23, 2017 1:45 am, edited 4 times in total. playabot wrote: As it is, the imagery of the menu (background) is closely aligned to the terrain of one planet, Jahtrah, which, correct me if I’m wrong, is also indicative of standard UE4 assets (sky box, colouring and so on). 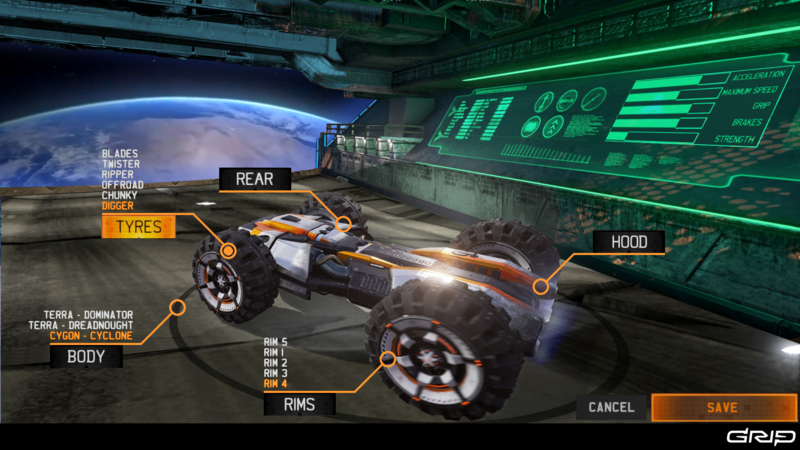 It has also been suggested that rather than the vehicle selection screen appearing track side – it could appear inside the hanger of a space craft above the planet. I am also in support of this as the illusion then is that we are in orbit of that (generic/all inclusive) location. This would also assist with the issue of ‘scale’ as the vehicles can be re-framed inside the hanger. At present your vehicle sits alongside large bricks, rubble, and oil drums and this does nothing to ad to the sense of scale I know the devs are pursuing. Any chance the vehicles on the menu screen can be randomised - So that different vehicle models appear in frame from time to time? Or could it be customised by the player?? To expand on the vehicle select idea - this could be a large space in the cargo bay of a space craft. It would have a black shiny floor... like a certain other racing game a lot of us are fond of... Vehicles could be parked in this bay in different sections for each team. 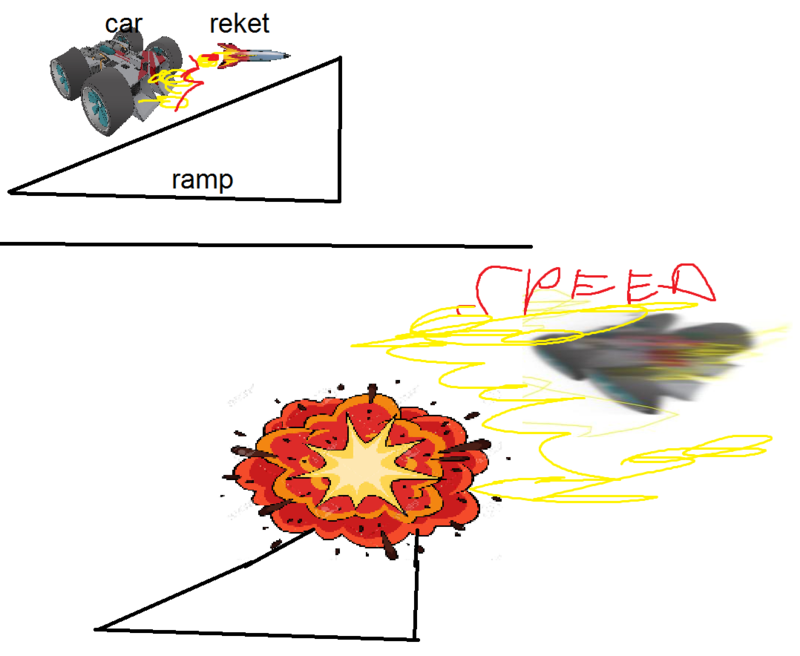 So initially the player will cycle by team grouping with all vehicles in frame i.e. rogue, warlander, jugglenut. Then select a team and the camera zooms in infront of one of the vehicles i.e. 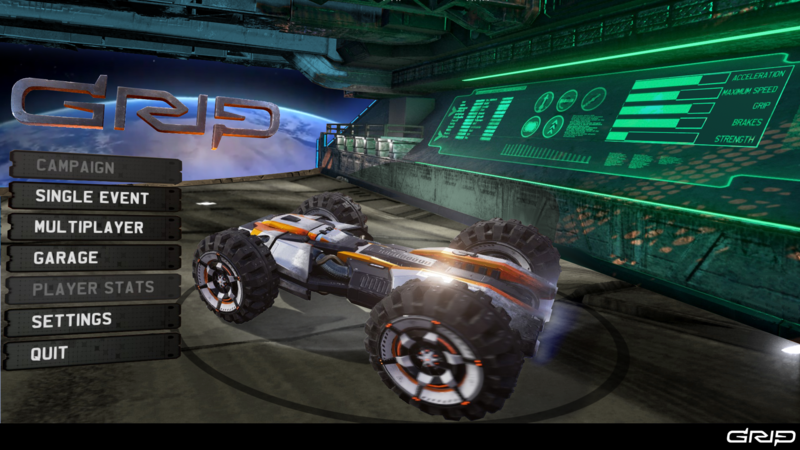 zooms in to frame the vehicle from a first person perspective, showing off their scale. Then select a vehicel and the camera slides to the angle that we are used to now only the vehicle will be rotatable by the player (possibly rotate and zoom). The one in the current version is my favorite, the slow tempo of it frustrates me just enough to get started! Plus it makes me eager to hear some faster music, it is very good. However, I don't know if it is a good or a bad thing but I like less the next part of the actual song. The bad part might be that I feel like going elsewhere sometimes doing something else, the good part being that since I'm not that eager to hear it, I'll select everything super fast in the menu and go racing right away! It is very good in my opinion.